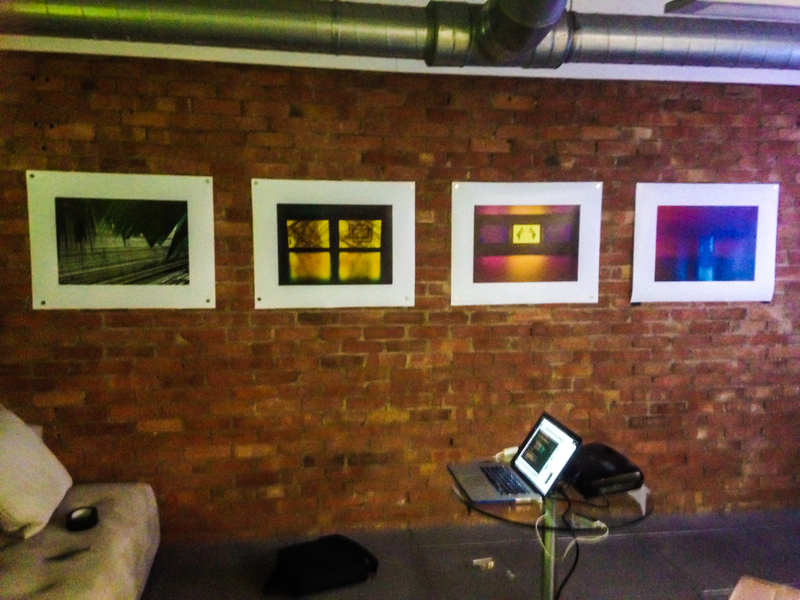 Last Thursday, I showed some new work at an event for Task Systems and Pantone. 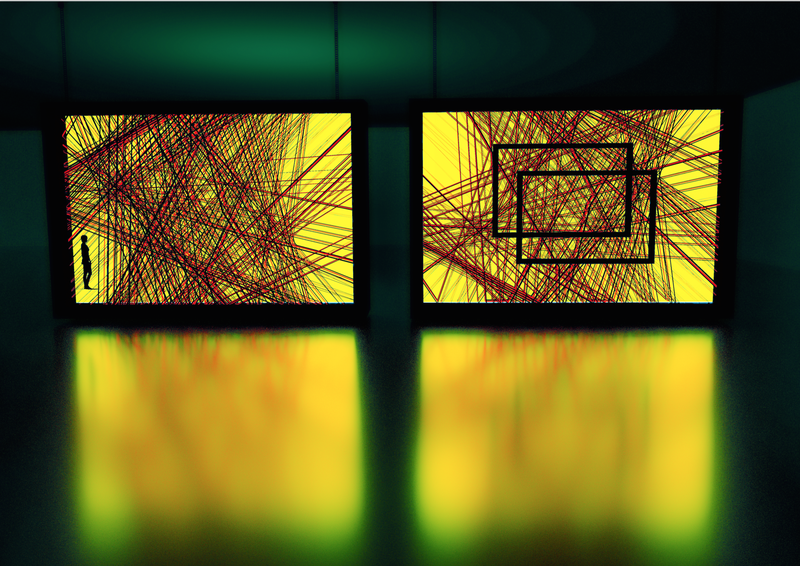 The theme was Colour in Design, which gave me a starting point outside my comfort zone. 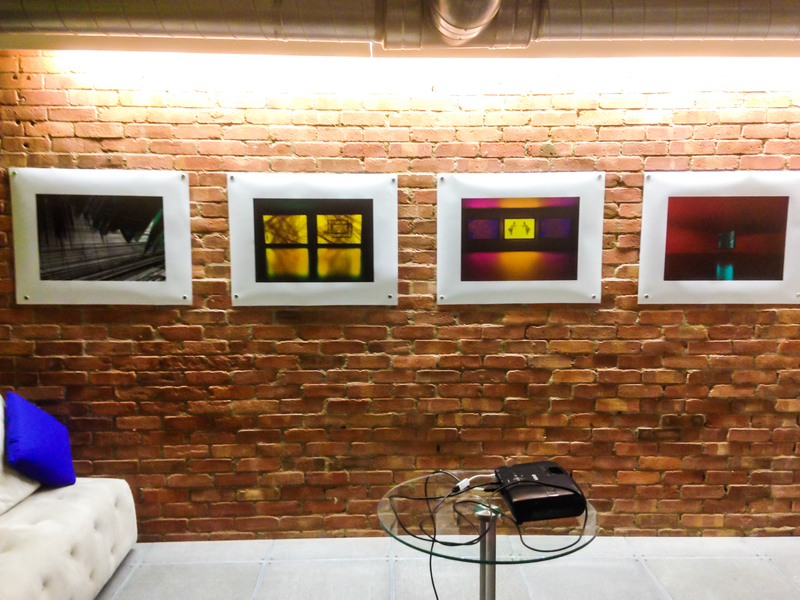 These are some pretty terrible photos of the display, however I’m waiting for the photographer to get back to me with the high-res ones. This gives an idea of the layout. Amazing exhibition that finished last week. 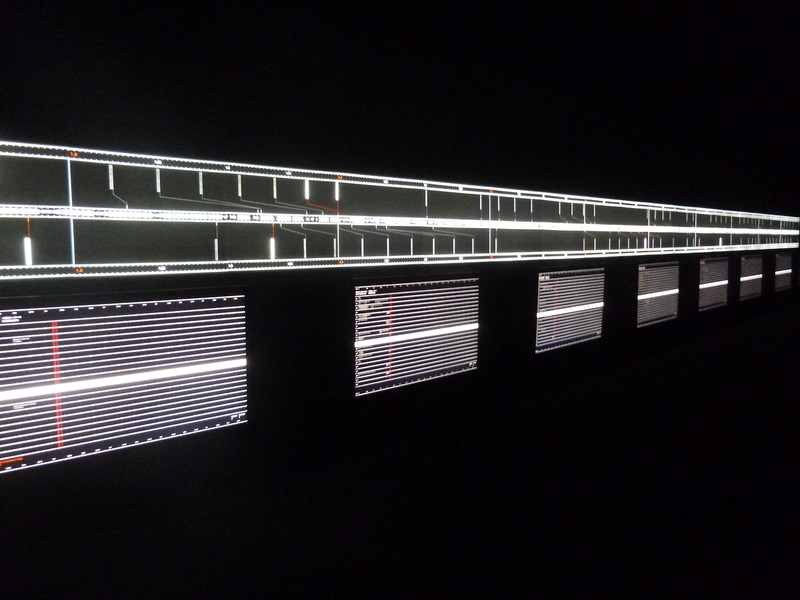 I hadn’t heard of Ryoji Ikeda before, but his work is wholly inspiring, and since being to this, I’ve done some research, and I can’t believe I’d never heard of him… Error! The event really showcased exciting, futuristic work that seems to surpass as simply art. The first room was mesmerising. 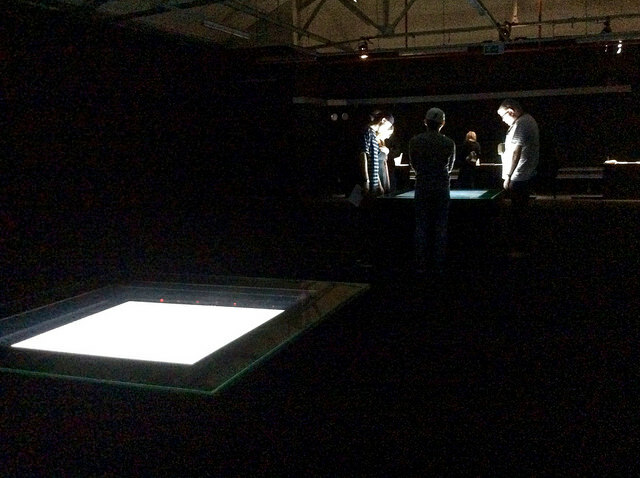 Shifting tables, moving with a strobe light show, forced small metallic, or clear ball bearings to roll around, like a handheld maze game. When the table stops, the balls create a new, original pattern. The second room was more problematic. 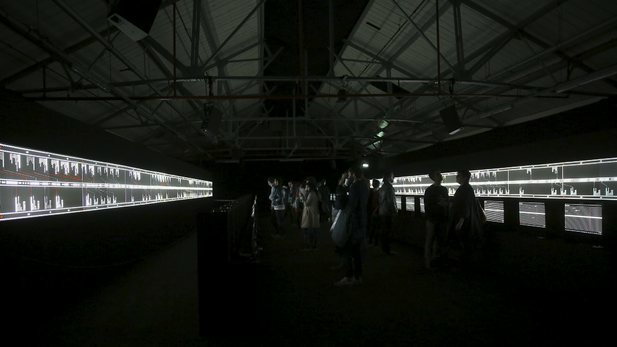 Although a very impressive light show, co-ordinated through multiple i-macs and projectors, the work felt too repetitive and less scientific than it pretends to be. 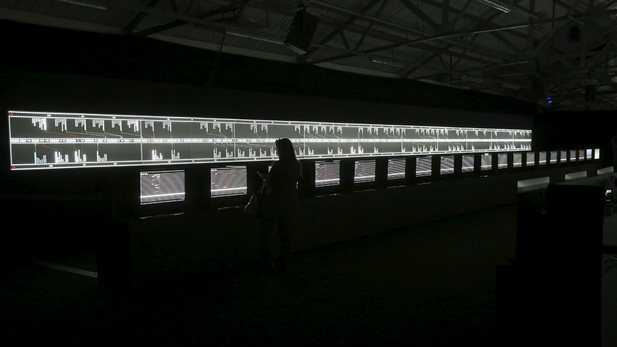 Ryoji has been working with CERN, whose Hadron Collider in fact started up again yesterday, and the installation aims to show the transition of the particle data from the first room to the next. 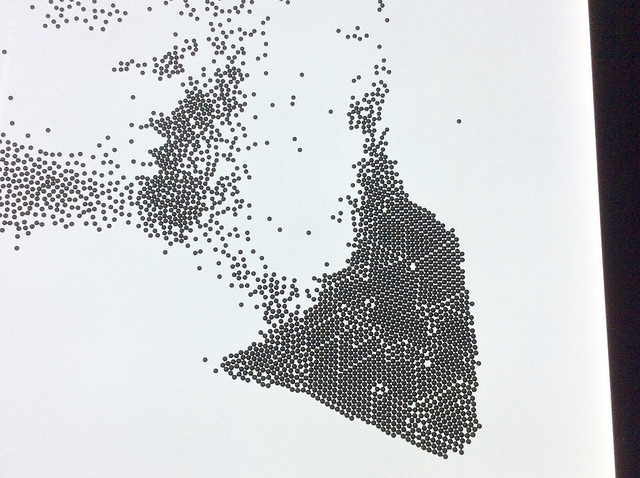 In other words, the structures, patterns and other data from the ball bearings in the first room were translated into a data visualisation in the second. 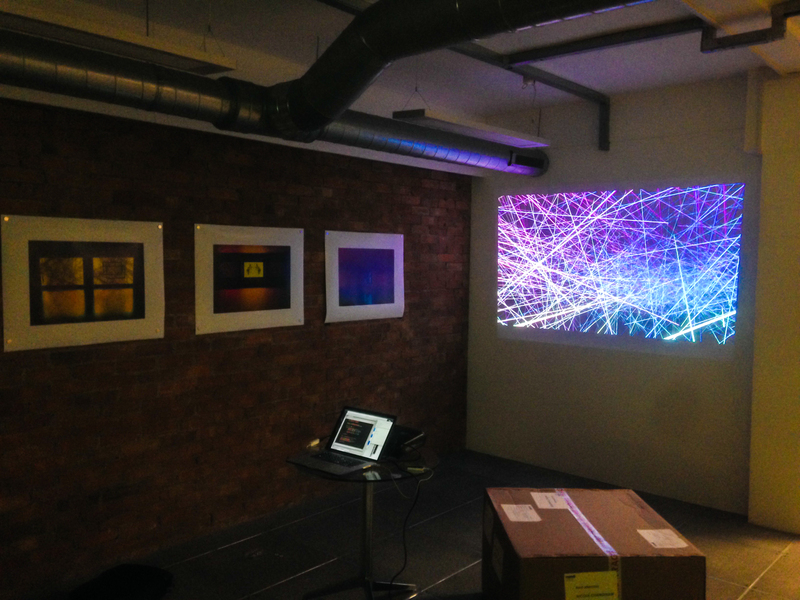 For me, the biggest impact of the visualisation was the sound. The sound really made you feel as if you standing in the Game room in TRON. Its co-ordination with the lights, and its movement in such a huge space, really created something special for the audience. It was definitely a spectacle for both eyes and ears. 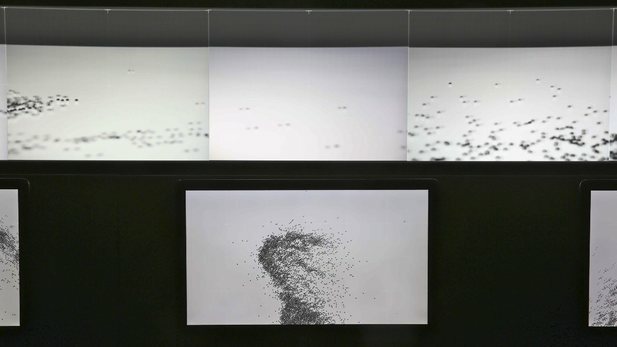 Ikeda is furthering his artistic practice by working with scientists and his work certainly encompasses this idea of art in the age of techno-science. The installation felt like a showcase for things to come. Then again, his beacon of light, in London, to mark the centenary of the First World War was also a big display. This is certainly an artist on the hunt for large-scale exhibition opportunities. Overall I enjoyed the experience. 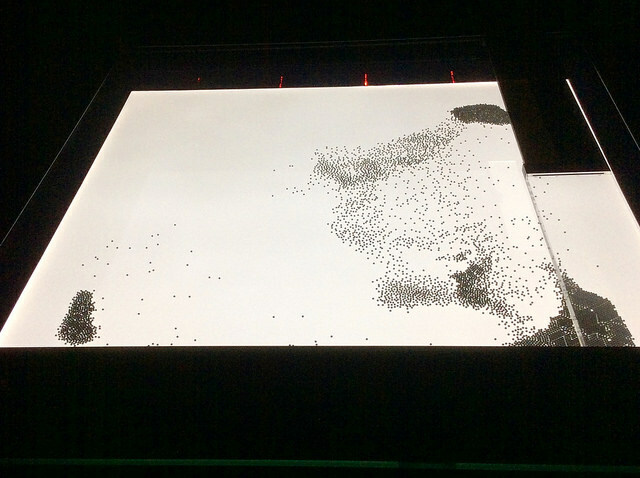 I was particularly impressed with the ball bearings work, and although was amazed by the light show in the second, I feel, or at least I hope, there’s more applications for this sort of display / interface in the future.